Solutions templates employing best practices are available for a variety of industries. Do you sometimes feel as though you are reinventing the wheel when you set out to create an app, map, or data model that's easy for nontechnical people to use? Now you can streamline that aspect of your work and spend more time on the other important GIS projects that you do. Esri has created a collection of solution templates, tailored for specific industries, that you can quickly configure to fit the needs of your organization. 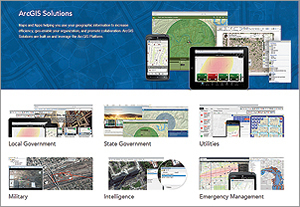 To help you find suitable templates in a single place where you can also get support and connect with your peers, Esri has created the ArcGIS Solutions website. Here you will find templates categorized by industry, including state and local government, utilities, telecommunications, military, intelligence, emergency management, and public gardens. You can try many of the templates in a browser before downloading. You can also watch videos of how to use the templates, discover in-depth documentation, and find plenty of options for support. "By supporting specific workflows within your organization, ArcGIS Solutions helps GIS professionals empower their stakeholders with spatial information," says Damian Spangrud, Esri director of solutions. "They deliver forward-looking best practices and ready-to-use apps that can make a real difference in the adoption and use of GIS throughout the enterprise." Each template employs best practices so you don't have to spend time worrying whether you are standing up a map, app, or data model in the most optimal way. The templates are freely downloadable and fully supported by Esri. To use and deploy the templates, you need to have Esri's core ArcGIS technology. 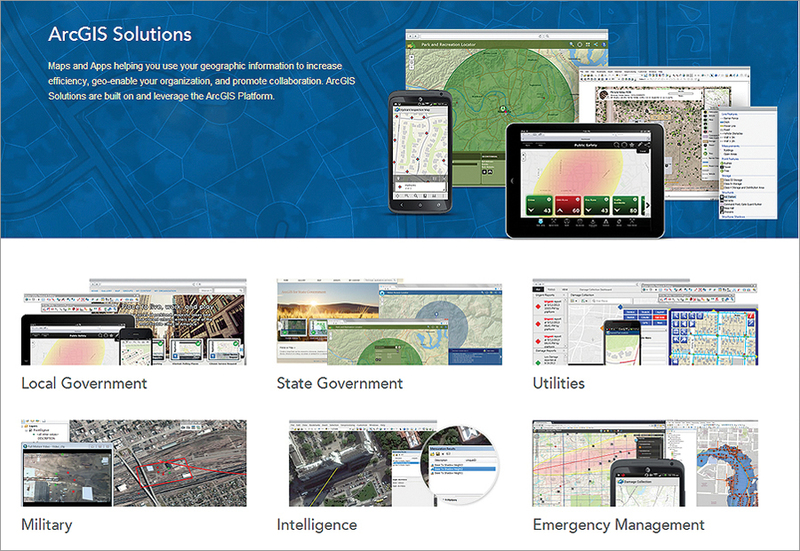 To get started with ArcGIS Solutions for your industry, visit solutions.arcgis.com.